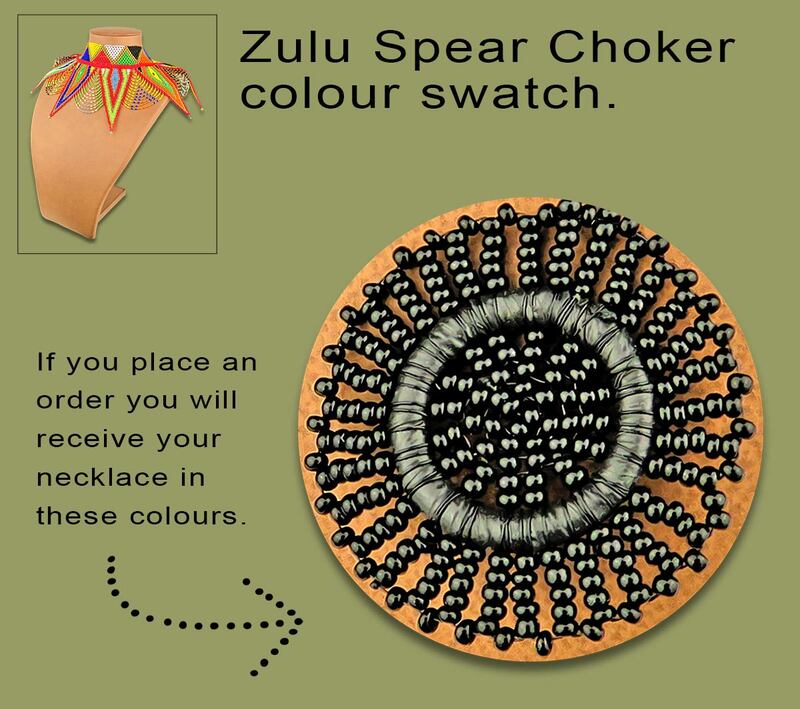 African Beaded Necklace Zulu Spear Choker - BLACK. Traditional African beadwork handmade in South Africa. Choker style necklace. Closes at the back with a bobble and loop close. Traditional African necklace worn to ceremonies and events. This is a very large necklace: 12 cm wide.